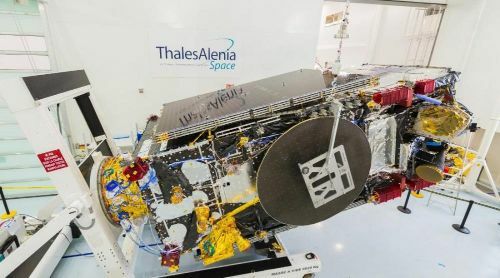 Koreasat-7 is a commercial communications satellite built by Thales Alenia Space for operator KT Sat, a subsidiary of KT Corporation, to deliver a broad range of services to South Korea including Internet access, multimedia distribution, broadcasting and fixed communication services. KT Corp. is the largest telecommunications and media services provider in South Korea and also is the country’s sole satellite service provider. KT Sat currently has three satellites in operation to deliver the full range of services to the Korean territory. 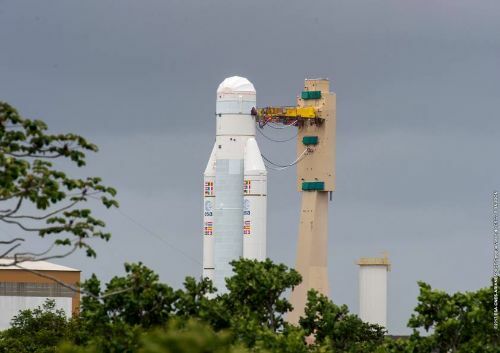 Koreasat-7 is the third in the Koreasat series to be launched by Arianespace following in the footsteps of Koreasat-3 launched in 1999 and Koreasat-6 in 2010. 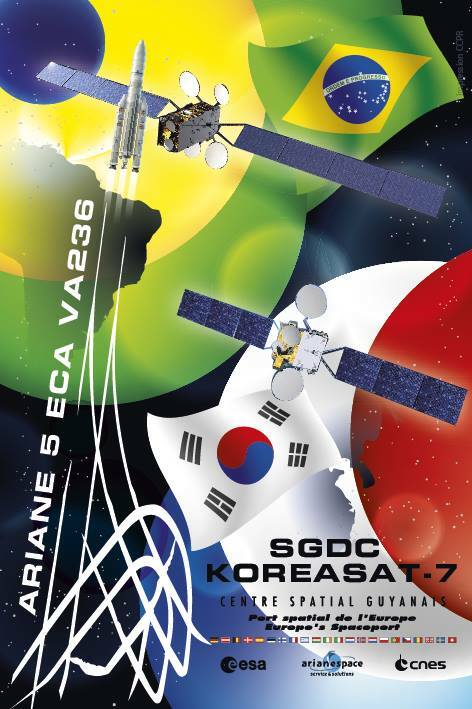 Koreasat-7 hosts 30 Ku-Band transponders and three Ka-Band transponders to provide a full range of video and data applications, including Internet access, direct-to-home television broadcasting, government communications and VSAT (Very Small Aperture Terminal) networking services. Positioned at 116 degrees East in Geostationary Orbit, Koreasat-7 is designed to increase KT Sat’s throughput capacity and extend coverage over Korea, the Philippines, the Indochinese Peninsula, India and Indonesia. 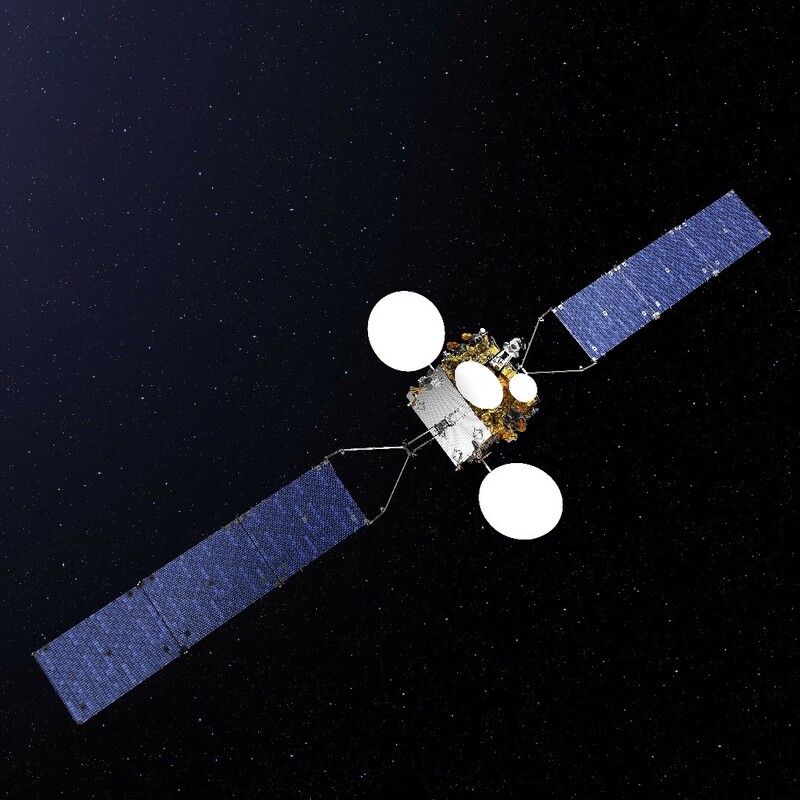 Koreasat-7 hosts steerable Ka-band antennas, giving the spacecraft a high-degree of flexibility to relocate capacity within its footprint based on changing market demands. 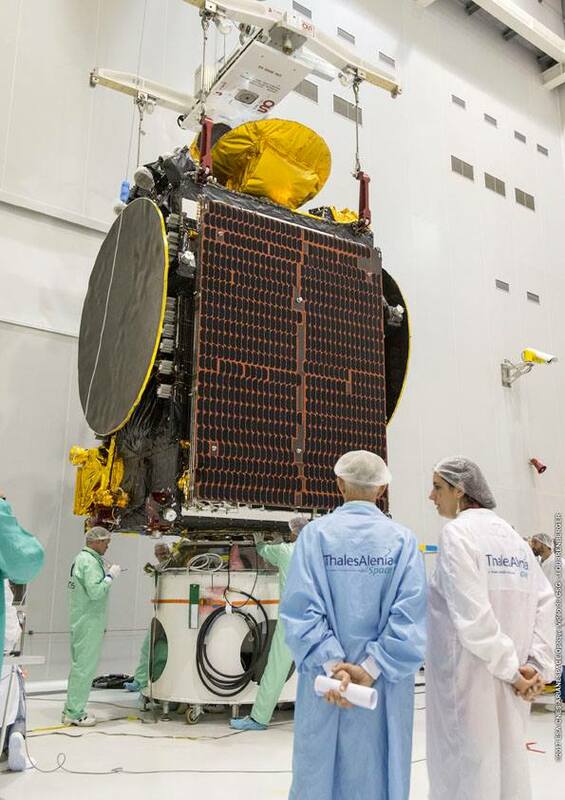 The satellite’s payload comprises twenty-four 54MHz Ku-Band transponders, six 27MHz Ku-Band transponders for broadcasting satellite services and three 255MHz Ka-Band transponders for steerable, high-throughput beams. The Ku-Band payload generates a total of four beams, an Indian coverage zone over the entire Indian subcontinent and some surrounding areas to the north east, an Indochina Ku-Band zone stretches from Myanmar to Malaysia, a South-East-Asia beam primarily covers Indonesia and neighboring territories and the Philippines Ku-Zone covers a large portion of the Philippine Sea and the majority of its islands, extending as far north as Taiwan. 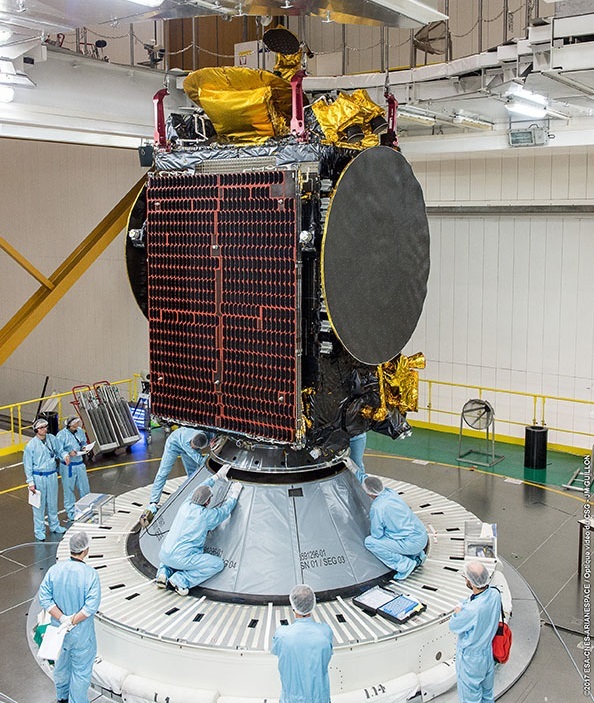 KoreaSat-7 has a launch mass of 3,680 Kilograms, measuring 2.3 by 1.75 by 3.39 meters in dimensions, based on Thales Alenia’s Spacebus-4000B2 satellite platform. The satellite will operate from 116 degrees East in Geostationary Orbit and has a planned service life of over 15 years.